I was recently asked to speak later this month at Casual Connect about how east European (including Russian) talent can succeed in social media. The underlying ideas is that teams from Russia, Ukraine, Poland, etc., have come to dominate the casual download gaming space (i.e. hidden object games sold on Big Fish), yet have not had similar success on social media. Upon thinking about the subject, I realized this basic precept itself is a misperception but there are things that these teams can do to succeed on Facebook. Let’s start with the misperception, that Russian (and other east European developers) have failed to gain traction on social networks. The reality is that these developers are quite successful on many social networks, including the three primary Russian social networks (Mail.ru, Odnaklassnike and vKontakte) and the Polish social network (Nasza Klasa). There success is not limited to their “local” social networks, as you see games that originated in eastern Europe at the top of the charts throughout Europe (Germany, the Netherlands, Spain, etc) and even Latin America. Where these developers have failed to gain significant traction is on Facebook, more specifically English-language games on Facebook. So it is not as if east European companies cannot create compelling social media game content, it is that they have not been able to penetrate the Facebook market (a big distinction in my opinion). Why the Difficulty on Facebook? 1. By far the greatest impediment they face is marketing. In the casual download market, there are partners open to bearing the marketing risk in exchange for part of the game’s revenue. Big Fish Games, in particular, has tremendous marketing muscle and can deliver millions of potential customers to an east European developer with no marketing expense by the developer. There is no equivalent of Big Fish in the social gaming space. The few publishers focused on Facebook are themselves extremely small compared to the major social game developers. Thus, they cannot even the playing field the way a Big Fish or Real Networks does. This phenomenon plays itself out in two ways. First, the major Facebook companies throw tons of money at their games, often millions of dollars per month to support the launch. Second, the creative is perfectly targeted to the US market, as it is developed locally by marketing experts. Most, if not all, east European developers cannot match this marketing. 2. The cost of developing a AAA Facebook game is orders of magnitude greater than the cost of developing a AAA casual game. The top Facebook game companies (i.e. Zynga, EA, Playdom, etc) regularly spend well over $1 million to create a game, then have huge teams creating new content for the game once it has launched. Conversely, in the casual space, a team can create a competitive game for less than $200,000 (sometimes much less). Even with the differences in costs between San Francisco and Donetsk, the huge investment by the major Facebook game companies translates into a much deeper and more polished product. While the mechanics of the east European games are often sound, and thus the reason they succeed locally, they are just not as deep or polished as their competitors. 3. The top Western developers have embraced analytics more than their Eastern competitors. Most of the Russian and east European social game companies come out of the casual or core gaming spaces, where design, art and creativity largely rule the day. Conversely, at their core, most of the major US companies are built around analytics and testing. Before you say Electronic Arts, even they had to make a major acquisition (Playfish) to build the core competencies needed to thrive in social (The Sims Social has a much greater Playfish influence than Maxis influence). The ability to pivot from a design-centric development strategy to an analytics driven strategy cannot be underestimated, very few companies have been able to make the transition. This is not an East European vs West phenomenon, as the social game graveyard is littered with companies unable to make the transition (look at the top Western casual game developers, Big Fish, Sandlot, Playfirst and tell me how many hit social games they have produced). What is an East European Team To Do? Given these issues, what should east European development teams do. First and foremost, decide if they want to be in the space. Yes, a successful Facebook game can generate tens of millions of dollars in revenue but most developers are not going to succeed. Do they want to risk their core business to try to penetrate this market? If succeeding on Facebook is a priority, then there are several steps a Russian or East European team can take to improve the odds. First, partner with a western company. When I was at Playdom, we worked with multiple east European teams. Partnering with a US based company, if it is the right company, allows a Russian or East European team to leverage their marketing muscle, learn what they have learned on the platform and potentially enter the market without the marketing costs of going it alone. As I mentioned earlier, there are not many pure publishers, so an East European company will need to be creative in finding a partner. These days many of the top Facebook game developers are capacity constrained, so they may be open to partnerhips if structured attractively. One method I had great success with during my Merscom-years was co-production. In this model we would share development costs with a partner (usually a media company) and then share revenue. This model could easily be extended to the social game world, with a variant being that the East European team takes on a greater share of the development costs in exchange for its western partner taking on a greater share of the marketing costs (which in the Facebook world, can often be much more than the development costs). Another option is to partner with a US media company to create a social game based on television or movie IP. Again, at Merscom, we had great success partnering with media companies to create content that was differentiated from our competitors, thus reducing our advertising costs. In social, currently, branded content is seeing tremendous momentum (The Smurfs is a surprise hit while Dirty Dancing has been in the top-5 of fastest growing Facebook games since its launch) but there are still many opportunities. By finding a media partner with strong IP, a Russian or East European team can create a game that does not have the same marketing challenges they would face using original IP. A third option is for a a Russian or East European studio to license its IP to a western team. If it has a game that has done great in the casual or core space, there may be an opportunity to partner with a Western company that already had Facebook expertise. Rather than feeling that it needs to develop the game, it can find a successful Facebook studio that can take the IP and bring it successfully to Facebook. A fourth option is to raise capital and focus on Facebook development. Nobody can be successful by treating Facebook simply as an additional platform, no matter the company’s size they need to commit to it. Then they need to do it right. They need to create games as good, deep and polished as those coming from the industry leaders. The Russian or East European studio needs to devote as much to marketing the game as they do. To be successful, they probably need to raise at least $10 million, there are no shortcuts, and approach Facebook the same way someone in San Francisco would. This includes taking an analytics-first development strategy and creating a game that is built around monetization, virality and retention. Regardless of the strategy, the Russian or East European team needs to be very careful about who it works with. Any deal needs to be attractive to all parties but makes sure the US partner is honest and looking for a mutually beneficial solution. Just because they are big or based in the US does not mean they are good to work with. There are many companies that do not honor their contracts or structure contracts in such a way that provide them with a huge advantage. Rather than go into all the things to consider, speak to other companies who have dealt with them (or ones who just know them) and see what he reputation is. Learn if they have a history of screwing people or if people work with them again and again. Let me end with a very good rule of thumb: It is a bad sign if they have law suits against them, it is a good thing if they have long-term partners. A few months ago, I wrote about my feelings regarding the best opportunities on mobile for social game companies, particularly how I saw the iOS vs Android battle playing out (https://lloydmelnick.com/2011/06/30/ios-vs-android-the-battle-for-social-mobile-gaming-supremacy-lessons-from-history/). That post has led to a larger conversation, how should social game companies prioritize the various mobile and web social opportunities. Having been in the game business for almost twenty years (contributions accepted in lieu of condolence cards), I have seen my share of companies fail because they missed a migration to a new platform or get rich as they anticipated a platform change early. My philosophy is that you should focus on being nimble and ready for new platforms rather than trying to anticipate the future. I have the same attitude towards financial analysts; they are no more likely to anticipate the future than monkeys throwing darts at a dartboard. Some will get lucky but most will underperform the mean over time. It’s the same in the game industry. It is actually quite arrogant for you to feel you know the future better than other tech leaders, so instead of trying to outsmart them, out hustle them. Some of you may be asking why is this even an issue, Facebook is the big kahuna and you can make a lot of money being successful on Facebook. Yes, yes you can. But should that be your focus, or only focus, for 2012, for 2013 and beyond. Mobile is clearly becoming a crucial area for consumption of social media. Facebook itself is being accessed by over 350 million users a month via mobile devices. Social games on iOS are regularly among the top grossing apps. Even on the Web, Google+’s growth has exceeded all expectations (most recent figures put it at over 50 million users) and some social games are already generating more revenue on Google+ than their Facebook equivalents. Looking at 2012 and beyond (which is the release date for any good game recently green lit), the decision becomes even more difficult. First, do you develop for Facebook. Although the biggest opportunity, there are well over 500,000 games and it is VERY expensive to rise above the noise. The next decision is whether to develop for the other web-centric social networks. The most obvious of these is Google+, whose growth has been phenomenal but staying power is still uncertain. Then there are the non-US social networks. Do you try to enter the Asian markets through RenRen, DeNA, Cyworld, etc., where there are more potential players than you have in the US? Do you risk the three-headed social monster in Russia – Odnaklassnike, Mail.ru and vKontakte – where piracy is still rampant but some games earn more than comparable Facebook titles? Should you spend time with the European social networks that are still battling Facebook, and often winning in their territories, like VZnet, Hyves, Nasza Klasa and Tuenti? Mobile represents the same level of challenge. iOS is clearly the leader right now in the mobile space, but they you also develop for Android? This is a bigger challenge than just adding another social network, as Android develop entails optimizing for a myriad of devices with different displays, sizes, processors, etc. So even if you are developing for Android, you then need to pick the devices. Should you focus only on optimizing for the Fire, betting Amazon will be the main challenger to Apple, should you support the Samsung line of phones and tablets, should you go even broader? I would argue also that the mobile decision is not simply Android versus iOS. Although a small part of the market now, Windows phones have a potentially bright future. Microsoft’s Nokia deal ensures these phones will get a huge opportunity, especially in Europe where Nokia is still a big dog. Counting out Microsoft and Nokia is still a huge risk. Despite the well documented woes Research in Motion(the Blackberry manufacturer) has experienced competing in the smartphone market, they still have double digit market share, global strength especially in the corporate sector and a lot of seasoned mobile executives. Again, you are taking a risk assuming they cannot turn it around. And finally, let’s not forget HP and WebOS. The TouchPad was obviously initially a failure, to the point of it getting “cancelled” and the CEO being fired, but the surprising demand for it at a lower price point may have changed the game. HP, the world’s largest seller of PCs, still has tremendous distribution worldwide, low-cost manufacturing expertise and the WebOS (formerly Palm) operating system that has been critically acclaimed. With Meg Whitman at the helm, it is too early to write HP off, either. As I said at the start of this post, it is folly to try to predict the future. It is an even greater folly to rely on me to, so if I said develop for Google+, iOS and WebOS, your best bet would be to run away and delete your bookmark to my blog. Instead, you need to shape your platform and development strategy to reflect this evolving landscape. If you have five games under development, do not focus them all on the same one or two platforms but provide options so you are protected if the environment shifts dramatically. If your company’s strength is Facebook, for example, have all products developed for Facebook but have one include a Google + version, another include an iOS SKU, another include Android and Windows, etc. The important feature here is diversifying your risk rather than betting you know exactly what the landscape will look like in the future. On the development side, ensure the games are built to be ported easily to other platforms. I have worked on projects where development was poorly documented and so much was hard coded that we literally had to hire a team of hackers to reverse engineer the game to get it on another platform. This not only adds to your costs but slows your ability to adapt to market changes, so competitors get on the platform before you do. Instead, put in the time initially (which actually is not much time) to ensure that your products are well architected and easily modified for other platforms. Although this post was a little longer than I would of liked, the importance of properly incorporating platform decisions in your strategy can mean the difference between success and failure. Make sure you look at all the options, both on the web and on mobile devices, and rather than trying to guess which ones will succeed create a portfolio that ensures success regardless. And build your products so if you are wrong, and everyone is at some point, you can quickly adjust and not even have to admit you were wrong. The convergence of building my executive team at fiveonenine games and the US election cycle brought to the forefront the concept of the High Concept Candidate. I first heard this phrase during the 2004 Democratic primary. 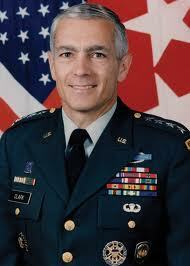 When General Wesley Clark entered the race, he was considered the perfect candidate to unseat (easily) the incumbent President. He was good looking, smart, a war hero, had extensive foreign policy experience and moderate views. Progressive friends of mine looking for a winning candidate made a significant campaign contribution to him as soon as he announced. He was the answer to a prayer from Democrats desperate to win back the White House. To make a long story short, after a few weeks when he was actually running for office, his campaign went down in flames as he had difficulty articulating positions and there was little substance behind the things that made him such a good POTENTIAL candidate. This same phenomenon has played out twice recently in the corporate environment, with the failed leadership of Carol Bartz at Yahoo! and Leo Apotheker at HP. Both were selected by their respective Boards with very little due diligence by Board members. In fact, there are reports that most members of HP’s Board did not even feel a need to meet with Apotheker before hiring him. They were both enamored with the resumes and the narratives it allowed them to tell shareholders. How the selection would turn around the companies, allow them to execute on their vision, blah, blah, blah. What they did not focus on was how would the selection add value to the company, help them build or gain advantage and achieve a long-term goal. Getting a pretty candidate became more important than getting one who would perform. I see in the social space a lot of high concept candidates getting senior positions and then delivering disappointing results. Given the age of the industry, there are very few people who have actually had many successes in the space. So selection (either consciously or sub-consciously) often comes down to how good the story you can tell your investors, Board or the markets is. That strategy works for a while (usually less time than you would think,) but often leads to dysfunctional organizations that can’t make money (or lose it precipitously), are rife with internal politics, suffer high levels of turnover or just lose their vision. So what is the answer? When I find out, I will tell you. In the meantime, this phenomenon has reminded me to look at candidates deeply, understand what skills and strengths they bring to the table, see how they will contribute to the culture I am building. Most importantly, are they the person to create long-term value. It takes discipline not to hire the High Concept Candidates, the people who will look good on the About Us section of the website or make the Board/investors ooh and aah, but at the end of the day if you are surrounded with people who will create a great company, your life will be much easier. The news last week about Netflix losing a much greater number of subscribers than anticipated reminded me of how arrogance can undermine any company, including the high fliers (present and future) in the social gaming space. Let’s start with the Neflix case. With NetFlix, almost everyone outside the company foresaw the ferocity of the negative reaction to its new pricing strategy. Nor was this reaction really a secret once the new pricing was public, Facebook, Twitter and traditional news sites were rife with stories about how unhappy Netflix customers were. Yet Netflix felt subscriber losses would be minor and people would forget quickly about their anger. Although they may still claim that they anticipated the level of customer loss, it’s obviously not the case. The company has lost more than 40 percent of its value since making the pricing move, very few companies actively trying to destroy more than a quarter of its shareholder’s equity. Moreover, if they really felt it was unavoidable, they would of better prepared the market for the losses, as markets dislike surprises more than they dislike losses. So how did Netflix make this major miscalculation? It happened because within Netflix management confused high customer satisfaction with loyalty. Users loved Netflix because they were getting a good product at a good value. They did not love Netflix because of the pretty red envelopes or the neat logo. Thus, when the value proposition changed, people had no reason not to look elsewhere and did. Again, something that was obvious to outsiders immediately when the new pricing was announced was completely missed by the people making the decision, destroying billions of dollars in value and potentially weakening NetFlix’s market share where it will never recover what it previously had. What is particularly interesting is that last week there was another piece of business news that reflected the same phenomenon. Research in Motion (RIM), the maker of the Blackberry, also missed significantly its projections, particularly on its Playbook tablet. RIM, like Netflix, dominated its market for years and had a huge level of customer loyalty. Even when Apple came out with a phone consumers loved, RIM both publicly and privately felt it would never lose its core market, business users. They did not look closely at the merits of the Blackberry line against the iPhone, they seemingly just felt that their customers were to loyal to ever switch. When they launched their first tablet, they did not put out a product that had either a feature or price advantage to Apple, but again felt they would succeed because Blackberry users would buy anything they tried to sell. WRONG. Again, consumers showed they are loyal to a good product and a fair price, but when that equation is broken they will switch. One last point is that this phenomenon did not start (or end) last week. The history of business is littered with once-great companies that failed to deliver continuously a stream of superior products and found themselves fall from greatness to mediocrity and often to bankruptcy. Just to name a few, Sony with the PS2 to PS3 (on the B2B side, they treated developers awfully when they were on top of the world and on the consumer side they put out a product that was not priced competitively), General Motors from its heyday to its transition to Government Motors, Real Networks when it saw a dominant position in the casual gaming market collapse, Sears when almost every family shopped there rather than a store that ended in mart, and on and on and on. All of these companies believed they had a lock on the consumer and could continually erode the value proposition (or fail to deliver the higher value competitors were). The social gaming space is evolving in a way that it will be very easy for companies to make the same mistake. A lot of the high flying companies now feel they own their customers. Coupled with a strong desire to make their numbers look better, this belief often translates into eroding the consumer’s value proposition. I am saying this on the web side of social gaming (Facebook as well as European and Russian social networks) and even on mobile social gaming, which has only been around awhile. If you are at one of those companies, beware, as you can destroy your relationship much faster than it took to build it. If you are at one of the fast growing companies also beware, when you get to that dominant position, remember what got you there and treat your users accordingly. It’s not only good for them, it is the only way to thrive.